People can experience communication difficulties as we age, caused by sensory deterioration. Hearing impairment, brain lesion, declining memory and poor vision can often create barriers in communication. However, these hindrances can be overcome with some effort and consideration. Here are some tips that will help you improve your communication with an older person. When providing care to an older person, it is essential that the communication methods you use are clear and distinct. Try to speak at a volume and pace that is audible and be sensitive with any sensory problems they may have. An older person may have trouble hearing, so you may need to speak a little louder than usual. You may also need to emphasise your body language if they have problems with their eyesight. When communicating with an older person, sit directly opposite to them. This will allow them to effectively receive the information you are trying to convey. By sitting face-to-face, you are reducing the number of background distractions and letting the older person know that they have your full attention. Maintaining eye contact can positively affect communication as well and create a positive atmosphere that is comfortable for you both. Listen attentively and try not to interrupt when the person is talking. Ensure they know that you are listening by responding to what they say. A nod or smile may sometimes be enough. Consider asking questions if you were not able to understand. This will help them to communicate their point more effectively. When talking with an older person, they may sometimes find it hard to understand your point. It is likely that you will need to repeat yourself before they comprehend what you are trying to say. Don’t get frustrated and remember that their reactions may be a little slower than what you are used to, so give them time to respond at their own pace. An older person will desire as much independence as possible. This is especially important when they feel their physical and cognitive limitations. Whenever possible and appropriate, give them options. For instance, you can ask them what they want to have for lunch. Being able to choose provides adults with a greater sense of independence. 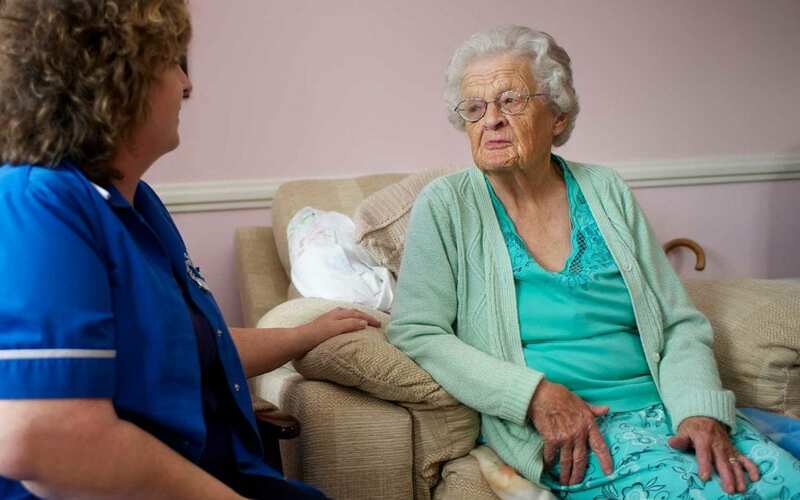 With over 25 years’ experience, Caremark is one of the top providers of quality home care. We offer 24/7 home care for older people and people living with disability or illness. Our service enables individuals to live in their homes while being supported by a care and support team. For enquiries, please complete this form or give us a call on 1800 844414.